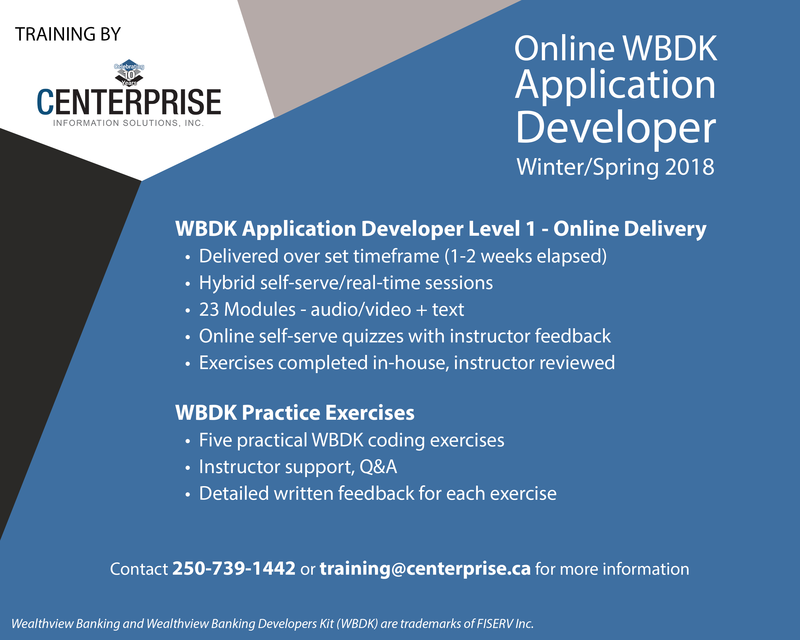 Registration is still open for the 2018 online offering of our popular WBDK Application Developer Level 1 course. The course will run from Monday, September 10 through Friday, September 21, 2018. Registration closes Friday, August 31. The course offers the opportunity to review online content throughout the two-week period, and provides 15 hours of real-time collaborative learning. Online module quizzes and instructor feedback provide confirmation that each topic is mastered before moving on to the next. The course includes 30 hours of instruction over the 2-week period. If your developers are looking to round out their understanding of the WBDK language and architecture, this is a perfect time to join in. 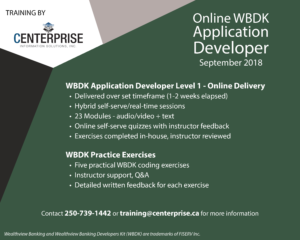 This Level 1 offering is also the first step toward WBDK Application Developer Certification – contact us now for more information on package pricing. We are now accepting applicants for the 2018 online offering of our popular WBDK Application Developer Level 1 course. This course will be offered in Winter/Spring 2018 – specific dates will be determined once we meet minimum enrollment. © Copyright Centerprise Information Solutions Inc. All Rights Reserved.